Do you have some overripe brown bananas on your counter that are about a day away from looking like a science project? Don’t toss them out! Put them to use. Typically when I have overripe bananas I make my banana nut bread. Well I already had a couple extra loaves in the freezer the other day so I decided to try something else. I thought to myself, chocolate and bananas are an awesome flavor combination so why not try to make some delicious cookies. 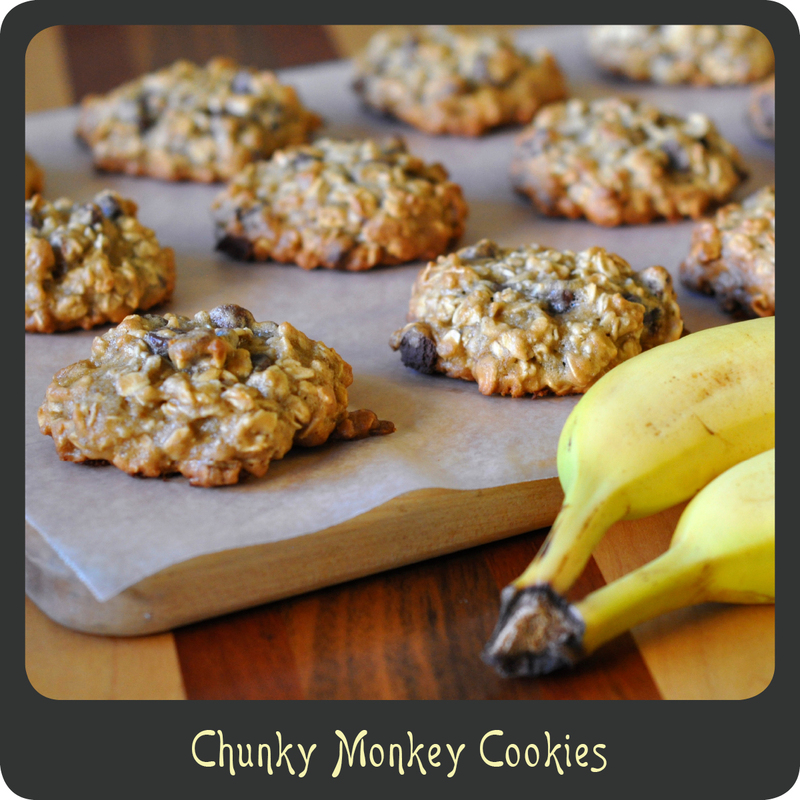 This recipe is for chocolate chip banana oatmeal cookies but I like the name Chunky Monkeys, an ode to my favorite Ben and Jerry’s ice cream. These cookies are relatively more healthy than most oatmeal cookies since far less butter is needed with all those bananas in there keeping them moist. Be sure to store these in an airtight container and they will stay fresh for days. Hope you and your little monkeys enjoy them as much as mine did. In a large mixing bowl mash the bananas until smooth. Beat in butter, eggs, vanilla, and sugars on low speed until smooth. In a second mixing bowl combine flour, baking soda, baking powder, and salt. Gradually add flour mixture to banana mixture and continue mixing on low speed until combined. Drop cookie dough by the spoonful onto greased baking sheets. Bake for 11–14 minutes or until lightly browned on top. Let cookies cool on baking sheet for 2–3 minutes and then transfer to a wire rack or board to cool using a spatula.